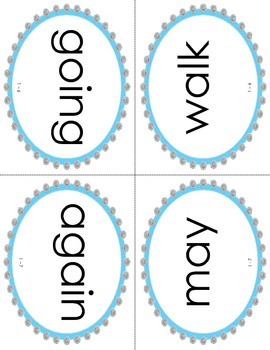 This is a resource for teaching the First Grade basic Dolch sight words. The teaching order of the word list is arranged from greatest to least frequency in children’s literature. 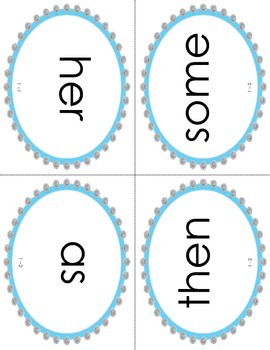 The word lists has been subdivided into 7 groups of five words each and 1 group of six words. The materials have been designed and labeled for use with the subgroups. 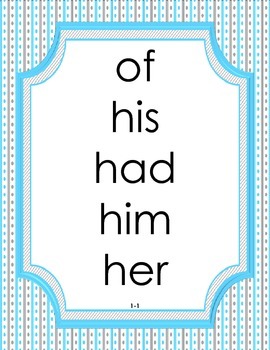 • Flash cards presented in two sizes (4 per page and 9 per page) and suggestions on ways to use the cards. 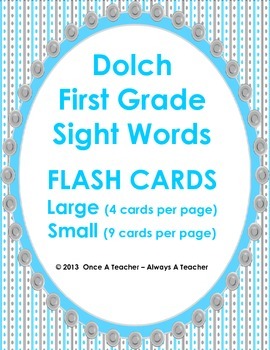 Additional materials will be available in the next few weeks for a comprehensive resource for teaching Dolch sight words.